Bad posture – not only is it unhealthy, but it also doesn’t look very nice, and that’s why you should do all in your power to correct it. However, this is easier said than done especially for those with desk jobs and sedentary lifestyles. Doing posture exercises will probably help you, but it won’t negate the 8+ hours of sitting you do every day. So is there a solution? You bet – and it’s called a posture corrector. Posture braces are made with the aim of helping those who often slouch, to keep their back straight. If you think that you could use a product like this, scroll down and read about the best posture correctors on today’s market. What is a posture corrector and how does it work? Who needs a posture corrector? What to know before buying a posture corrector? Who Should Buy: Those who want good quality and low price. You’ll need help putting it on. Who Should Buy: People who want simplicity. Who Should Buy: Those who don’t mind paying a bit more. 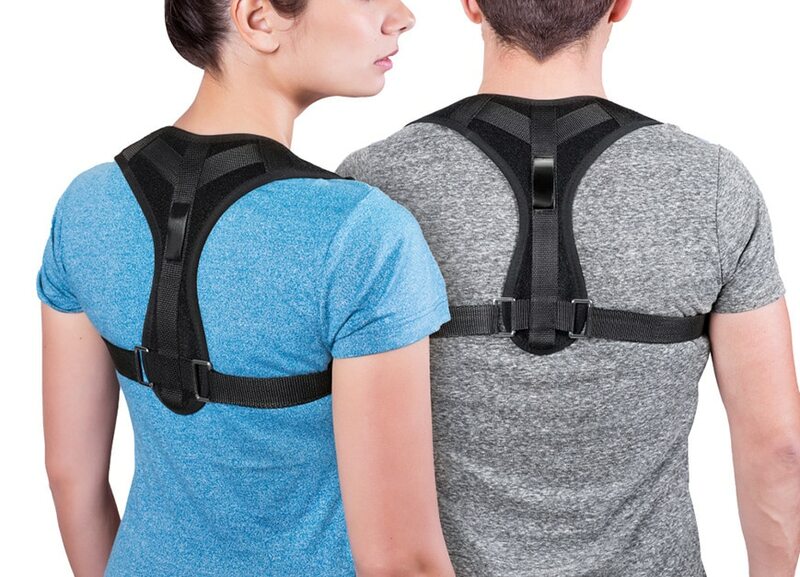 Who Should Buy: Folks who want a versatile posture brace. Might be too uncomfortable for some. Who Should Buy: Folks who want rigid spine support. 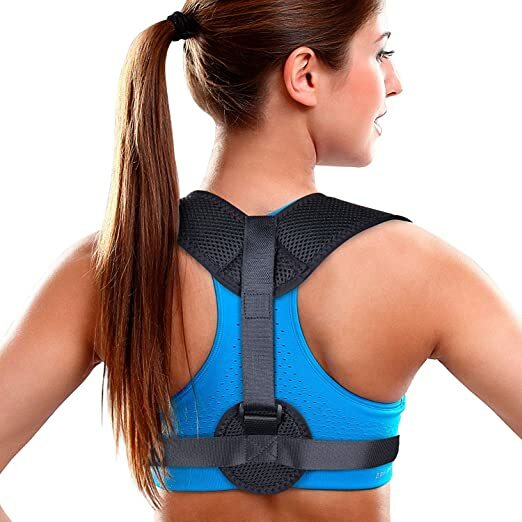 A posture corrector is a brace which is strapped around one’s shoulders, and sometimes waist, and helps to keep their spine in an upright position. The brace is designed to help the bones which easily lose stability stay stable. These are usually the neck, shoulders and the spine, along with a plethora of smaller bones which are attached to them. It can also be used in case of bone fractures, to immobilize the affected area and speed up the recovery. These products are usually divided along the lines of gender and age, so we have braces for men, women, and children. The main reason for this is that the bodies of the individuals mentioned above significantly differ, so, for example, men tend to have broader shoulders, while correctors made for women won’t have straps across the chest area. Folks who sit a lot usually develop poor posture and, as a result, pain in the neck, back, or shoulder areas. If untreated, this pain can lead to further complications such as clavicle problems or even spinal cord damage. In case you experience pain due to bad posture, maybe you should consider trying out a posture brace. When people think about correctional braces or straps they often image them to be uncomfortable and unpleasant to wear, this is sometimes the case, but not when it comes to posture correctors. These things are padded with soft materials so that they do not cause you a single bit of discomfort, given that you buy a model that suits your body shape. Of course, it may feel a little odd when you first put it on, but you will soon forget that you have it on. Remember, these braces are made to be worn for hours and hours on end. If you’re the type who has to hang around at the desk all day, wearing a posture brace will let you rest assured that your spine is in an aligned position. This takes away the constant mental pressure of reminding yourself not to slouch, and with this burden off your mind, you’ll be able to concentrate on your work much better. The latter is also connected to increased productivity, so your boss will probably be happier with you too. Since working in the corporate world is a constant competition, you need to keep a strong attitude and high self-confidence. It’s hard to be confident when you don’t look the part, with slouched back and rounded shoulders. However, when your head is high and shoulders back, you’ll not only look but also feel more confident, ready to tackle any challenge that comes your way. 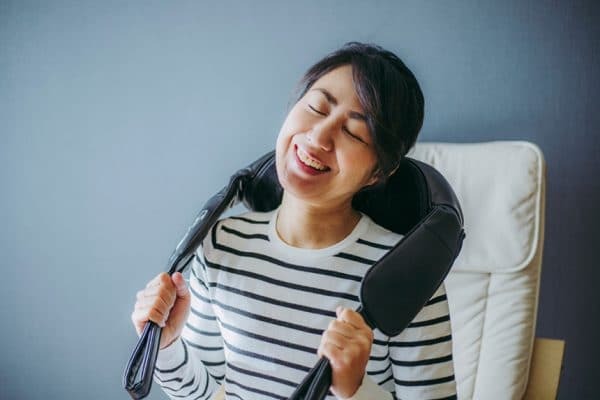 People who have breathing problems could benefit from a posture corrector as it opens up your ribcage which allows the lungs to take in more air. Obviously, you’ll need to get a posture corrector that is the right size and shape for you. As I’ve already mentioned, the design depends first on your gender and age, and then on the structure of your body. You should only go for a size that is perfect for you; not slightly bigger, not slightly smaller. Different brands have different sizing, so keep that in mind when exploring your options. Another essential factor that’ll tell you whether the corrector you’re trying out is the right one for you is its comfort level. Choose a product made from soft material that’s easy to put on, and that feels good on your skin. Also, you need to understand that almost any posture corrector will feel at least slightly uncomfortable for the first couple of days of use. If the discomfort continues after that, look for another model. Not all braces are washable, and you should try to look for the ones who are, because they will get dirty very quickly. 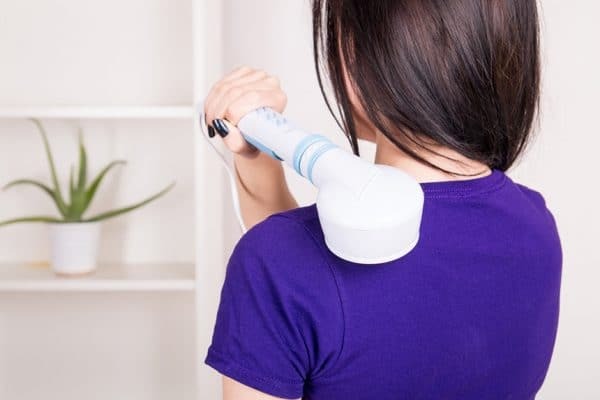 It can be very inconvenient and troublesome to hand-wash things, especially for people with neck and back pain so try to find a model that can be washed in the washing machine. Besides being easier to maintain, these braces are often made from better quality materials to withstand such treatments. Price doesn’t necessarily mean quality as sometimes it is just a marketing trick, so don’t go out and buy the most expensive product that you can find. First, figure out what brace will work for you in terms of your body size, shape, and the severity of your pain. The priciest models are usually the ones designed by physio’s, and they’re often made for injury rehabilitation. If this is not what you need, maybe you’ll be better off with a cheaper model. There are several things that you should be aware of when using a posture corrector. First off, know that a posture corrector alone will not be enough to fix your slouching permanently, but you will also need to participate in the process to some extent actively. What I mean by this is that you need to consciously pull your shoulders back and keep your chin tucked in to assist the brace in its work. By doing this, you’ll also develop more awareness of your posture and see some results more quickly. Second, it wouldn’t be a bad idea to take up yoga or some sort of corrective exercise. Having a regular workout routine can do wonders for your posture, and when coupled with a posture corrector, you will see significant improvements in a relatively short time. Third, give it time. Don’t expect to resolve your problems in a week or two, especially if you’ve been living with bad posture for years. It’s going to take anywhere from several weeks to several months depending on your body, so be patient and wear your posture corrector consistently. Last, consult a physical therapist when choosing a posture brace. They can help to diagnose your problem and therefore pick a brace that suits you perfectly. – Recommended Reading: 6 Best Foot Massagers That Will Make Your Feet Pain Disappear! 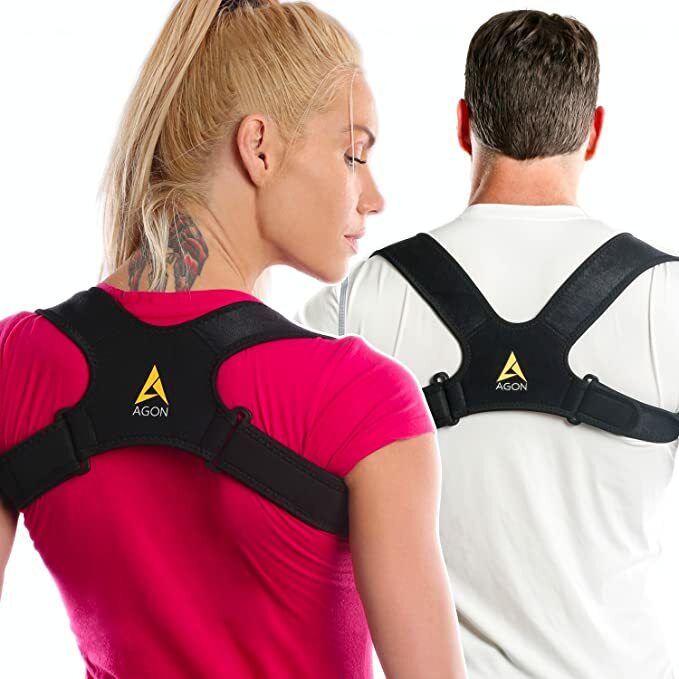 Now, here’s one of the most popular products in its category, and since many people claim to have had success with it, I’ve decided to analyze the Aroamas posture corrector myself. The first thing that I liked about this brace is its adjustable size so that it can be used by both men and women, as well as children. There are two straps that go over your shoulders and meet at the back (think of a backpack), so the chest area remains free. The brace is very comfortable as it is made from lightweight, breathable and soft materials. On top of this, the velcro straps will help you adjust the tightness and thus mitigate any discomfort if it appears. A potential problem is that the brace might cause skin irritation for some people if worn on bare skin. Aroamas’ product is affordable, so even if it turns out that it isn’t right for you (which is unlikely), you won’t be wasting a ton of money. I have a feeling that when the folks at Agon were designing their brace, the main thing they had on their minds was comfort. Did they achieve this? Let’s find out. 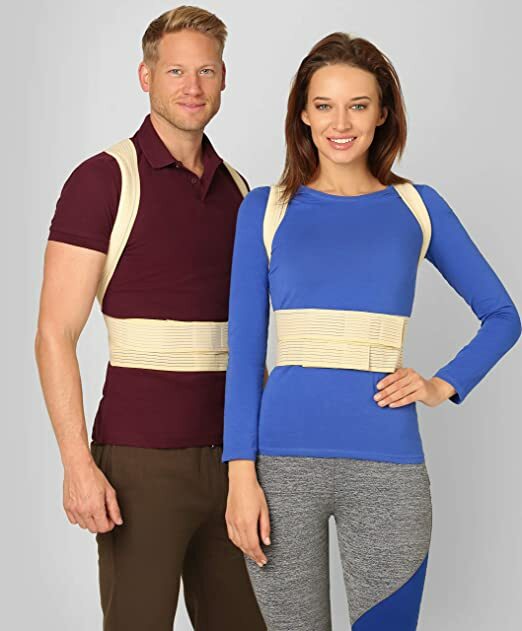 Agon posture correctors are suitable for both men and women, but unlike the previous model, their sizes are not adjustable. You will first have to measure your chest and then buy a brace accordingly. This is a crucial step so do not skip it and don’t buy based on a guess. The available sizes range from 24”- 48” in chest size. This model is quite comfortable, and I’d say it’s more so that many other braces I’ve encountered. Despite not having adjustable size, it does have adjustable compression, so you can adjust how tight you want it to be. The corrector is not machine-washable, so you’ll have to do it by hand, using a mild detergent and warm water. The price is similar to that of the previous model, which is more than fair. Toros-Group posture corrector is somewhat of a unique product in its field, and I mean that in a good way. What makes this brace interesting is its design which straps around one’s waist and shoulders, resembling a tank top but without covering the chest. It comes in six different sizes, and it can be worn by anyone regardless of gender and age. The material that’s used to make this product is 100% cotton-liner, and it gives a semi-rigid fixation which allows for some movement of the spine, but still keeps it fixed in place. This brace uses wide straps which don’t sink into one’s skin and therefore provide a lot of comfort. Another nice thing about Toros’ model is that you’ll be able to put it on by yourself, without any help from others. Now, this model should not be thoroughly washed, but only surface washed, which won’t be ideal for people who are very active and who sweat a lot. Also, the price of this corrector isn’t very low per se, which is another thing that might throw some people off. 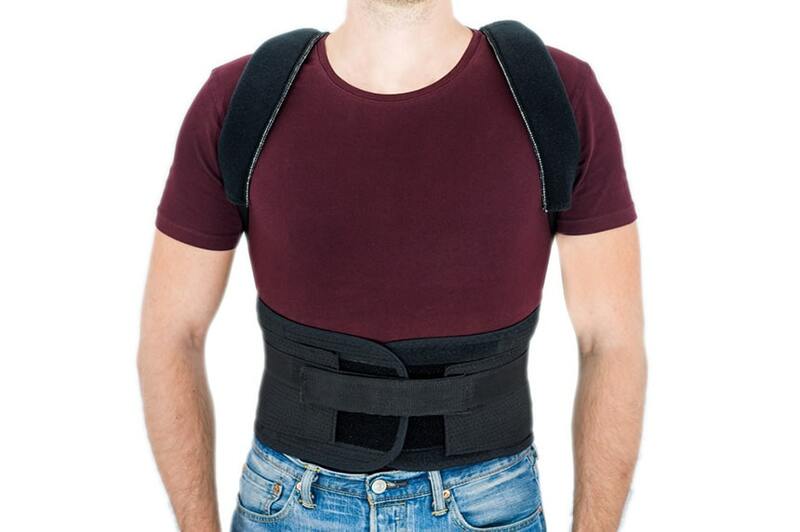 In this section, we’re going to take a look at a somewhat multi-functional posture brace, and it is made by PostureMedic. When it comes to the size, there are multiple dimensions of the braces going from extra small to extra large. You’ll be able to find out which one is good for you based on a chart that the company provides. What’s unique about PostureMedic is that it uses rubber bands as straps, and not only do they work quite well, but they can also be used as a tool for stretching or even light exercises. This brace is a perfect choice for anyone looking for a multi-purpose product. As you probably know, rubber usually has a strong odor, and this is also the case with this posture corrector, so some folks might not like this. Make sure to wash brace from time to time, but you can’t throw it in the washing machine. The price of PostureMedics corrector isn’t among the cheaper ones, but it probably won’t break your bank either. The last model on the list is called BeFit 24 and is yet another excellent product of this type. 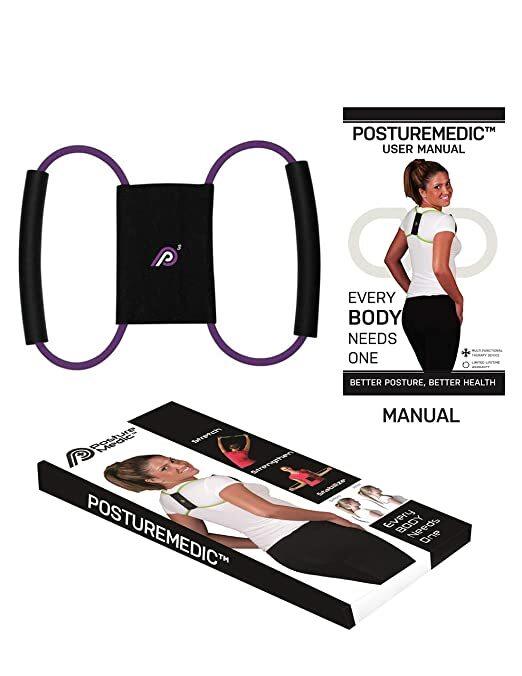 BeFit 24 is similar by design to the brace from Toros-Group, meaning that it has straps that go over the shoulders and around the waist. The corrector is available in 5 different sizes with the smallest one being 23” and the largest 43”, and both men and women can use it. Now, this model is special because it has metallic inserts in the spine area to make sure that it stays fixated and upright. 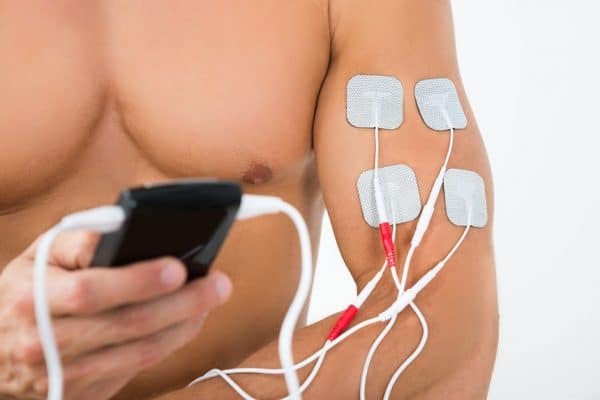 Although this works, it might cause some initial discomfort that may be painful for some individuals. When it comes to maintenance, BeFit 24 can be hand washed and then air dried after that. Do not tumble dry it as this might damage the material. The cost of this corrector is somewhat in the middle so it will most likely be suitable for anyone’s pocket. When should I wear a posture corrector? Posture braces can be worn anywhere, at all times. It doesn’t matter whether you’re in the office, or out and about with your friends and family. When not to wear a posture corrector? Do not wear a posture brace while doing activities which require your back muscles and spine to be moving freely. For example, swimming, dancing, hunting, climbing, and so on. This depends on your body and how serious you are about using the corrector. On average, it takes around several weeks to notice some improvements in one’s posture. How tight does a posture brace have to be? The simplest answer to this question is – not very tight. Your best bet is to tighten it to the point where you feel pressure when trying to round your back. If you make it too tight, it’s going to be very uncomfortable and might even mess with your blood circulation. Can I wear posture corrector to sleep? No, as it won’t do you any good. A posture brace is only effective when you are in an upright position (e.g. sitting, walking). How long should I wear my posture corrector? The time that you should be wearing a posture brace depends on your body’s condition and how slouched you are. This time may vary from 15 minutes, to 30 minutes, to several hours per day. 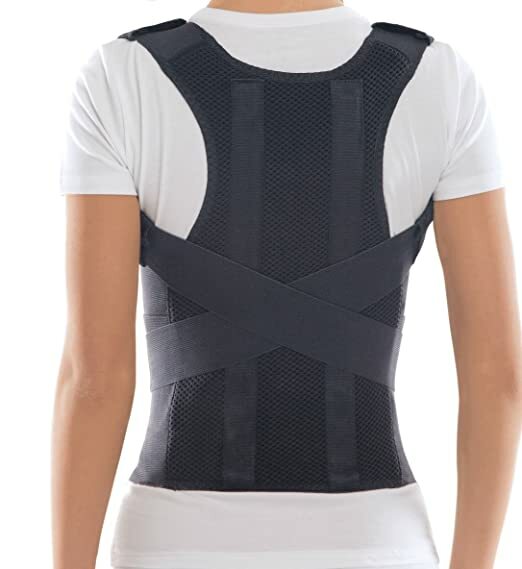 Should I wear posture corrector over or under clothes? Most posture correctors can be worn either under or over your clothes, so this should solely depend on your personal preference. However, wearing over the clothes might not look very good, but it is more hygienic. Posture correctors are an undeniably useful product, and it seems like they’re becoming a necessary one for many people who’ve spent years working in offices. However, do understand that these braces have their limitations and will work much better if you combine them with regular exercise and an effort to keep your back straight. It’s quite a challenge to choose the top product from this category as each individual is different and there’s no one-size-fits-all in case of posture correctors. With that being said, I do think that Aroamas posture corrector will most likely suit a significant number of people simply because of its adjustability and high comfort level. If looking for a brace that straps around the waist, take a look at Toros-Group and BeFit 24. Those who like multi-functional products can check out PostureMedic, and those who like simplicity can try out Agon. I hope that today’s article was helpful for you and that you’ll be able to resolve your slouching in no time!